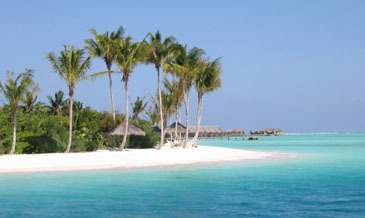 International tourism receipts reached in 2004 a new record value of US$ 622 billion as expressed in absolute figures. According to the latest edition of the WTO World Tourism Barometer, worldwide tourism earnings grew by an extraordinary 10.3%, a rate practically equal to that of international tourist arrivals which increased last year by 10,7%. In US dollar terms the increase amounted to 97 billion, however, this is flattered by the rather generalized depreciation of the US dollar in 2004, causing receipts earned in currencies such as the euro, the Canadian dollar, the Japanese yen or the Australian dollar exchange into larger amounts of US dollars. Expressed in euro, receipts increased by 36 billion to a total of euro 500 billion. Growth expressed in local currencies at constant prices, thus neutralising the effect of exchange rate changes and inflation, reached 10.3%. Europe earned a bit over half of worldwide tourism receipts (52%), the Americas 21%, Asia and the Pacific 20% and Africa and the Middle East 3% each. All regions posted positive results in 2004, ranging from 2% for Europe to 24% for Asia and the Pacific. Both the Americas and Europe report positive results after three negative years. International tourism receipts grew by 11% in the Americas due in particular to the recovery of North American destinations (+13%). Results were positive in North America for the first time since 2001 as all destinations bounced from the setbacks of the previous years, in particular the USA, the region's as well as the world's major tourism earner, where receipts grew by a remarkable 16% to a total volume of US$ 75 billion or 12% of the world's tourism receipts. Europe recorded a 2% increase as all subregions rebounded from 2003 negative results, although still comparatively feeble in the case of Western Europe (+1.2%) and Southern and Mediterranean Europe (+2.2%; values in local currencies at constant prices, in US dollars receipts increased much more as a result of the considerable appreciation of the euro). International tourism receipts grew by an exceptional 24% in Asia and the Pacific, following the 9% loss of the 2003 SARS year. A village at Mekong River. 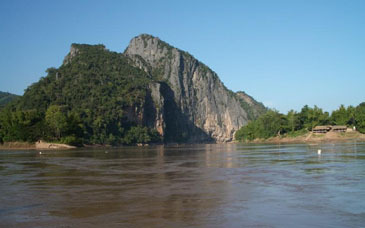 The Mekong River is the heart and soul of mainland Southeast Asia. The 12th longest river in the world, the Mekong runs 4,800 kilometers from its headwaters on the Tibetan Plateau through Yunnan Province of China, Burma, Thailand, Cambodia, Lao PDR and Vietnam. The fastest growing subregion was North-East Asia (+30%). Growth was also particular buoyant in the Middle East (+22%). Africa posted a more modest growth (+6%), constrained by the results of Sub-Saharan Africa (+4%) after having been the star performer of the past three years. Although demand recovered very well during 2004, receipts grew at a marginally slower pace than volume. In particular in Europe and in Asia and the Pacific receipts growth lagged somewhat behind the increase in arrivals. This reflects the rather general trend towards a higher frequency of trips, but shorter stays. It is a long-term process, driven by pressure on time and enabled by the development of a well-ramified and varied transport infrastructure with several good-price transport options. In the past few years the boom of low-cost airlines has been instrumental in this process, opening up new routes and offering not only lower prices, but also lesser restrictions with respect to length of stay or weekend stay over. Average receipts per trip may also have been furthermore pressed down by the fact that intraregional tourism, with generally lower spending levels recovered quicker than long-haul traffic, together with some price cutting strategies to stimulate recovery. In terms of the main tourism earners, no major changes are to be mentioned in the first seven positions as compared to 2003. The USA (US$ 74.5 billion) continues to lead the table of the world's top tourism earners and saw a strong comeback in 2004 on the losses of the three previous years as tourism earnings grew by nearly 16%. Spain (US$ 45.2 billion) and France (US$ 40.8 billion) occupy the following two positions at a considerable distance. The first three destinations in arrivals are thus also the first in receipts, although in reverse order. Italy maintains firm the fourth position in receipts, (US$ 35.7 billion), followed by Germany (US$ 27.7 billion), the United Kingdom (US$ 27.3 billion) and China (US$ 25.7 billion). Turkey (US$ 15.9 billion) climbs one position to 8th, changing places with Austria (US$ 15.4 billion). 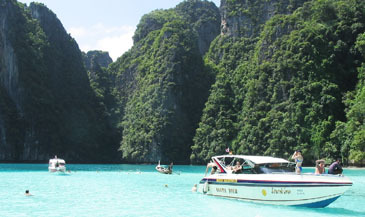 Australia (US$ 13 billion) closes the list, entering among the first 10 tourism earners in 2004.